Nations Cup record: 15 previous. Best finish: Winners (1968, 1974). When the Democratic Republic of Congo last contested the Africa Cup of Nations, they reached the quarter-finals - so giving little indication that they would then fail to qualify for the next three tournaments. But the Leopards have been revived by the return of coach Claude LeRoy, who guided the Congolese to the last eight in 2006 and is set to make a record seventh appearance at the competition. The 64-year-old took over for his latest stint in September 2011 when, in his own words, "the team was in very bad shape, they were ranked 35 in Africa and many stars were no longer interested in playing for the national team." 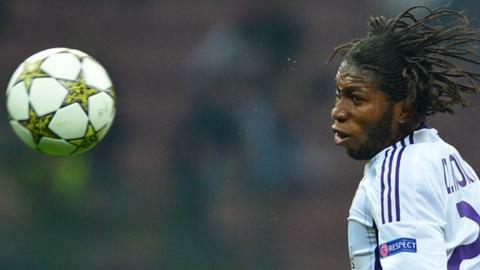 To his credit, LRoy persuaded West Bromwich midfielder Youssouf Mulumbu and Anderlecht striker Dieumerci Mbokani to rejoin the squad. Mbokani was in goalscoring form in qualifying and he is among the Leopards Le Roy believes could take the Nelson Mandela Bay Stadium in Port Elizabeth by storm. "With the likes of Mbokani, Tresor LuaLua Lomana and Cedric Makiadi we can field a great team and we also have an incredible attacking talent in Tresor Mputu," said Le Roy. "It will be a difficult pool for us as we are less favoured than Ghana and Mali, who were 2012 semi-finalists. But I like being outsiders and qualifying for the quarter-finals would be a beautiful dream." However, DR Congo had one of the easiest tasks in qualifying - demolishing the Seychelles before taking on 2012 co-hosts Equatorial Guinea, one of the weakest teams in the final round. It remains to be seen whether they will be able to step up their game to match the improved quality of familiar opponents - they have played Ghana six times in the Cup of Nations, winning two and losing four, and Mali twice, winning and losing once.